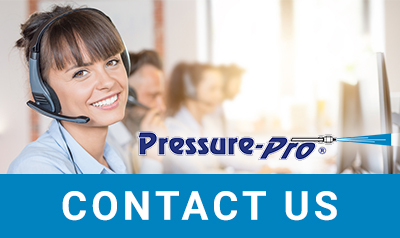 We are proud of the many clients who turn to Pressure-Pro for all their needs related to Cold water pressure washers in Seattle WA. These high-quality machines are ready to take on a huge list of projects including prepping metal concrete for painting, getting rid of moss, algae, and mold, and getting mud off of vehicles – to name a few. Made to be as strong as their hot water pressure counterparts, these units are built with the same chassis design and components. Whether you need them for industrial, residential, or commercial use, we have the products you are looking for. You will not find a more impressive selection, higher-quality products, and better informed customer service agents. We are here to ensure that you get just what you need.Contact us at 772-461-4486 or now for more information. There are a number of reasons that our clients may choose gas cold water pressure washers in Seattle WA over other options. One of the biggest advantages is that they are portable and can go just about anywhere – provided there is adequate ventilation. These are heavy machines but they have wheels to make it easy to transport them. A gas cold water pressure washer is more powerful than an electric one (in fact, they can get up to 4,000 PSI) but it also generally costs more and can cost more to run. One of the biggest advantages of an electric power washer is the fact that they are more affordable. Not only is the price of the unit generally going to be less than a similar gas-powered unit, but the cost of running it is almost nothing. You pay for the electricity you use but otherwise there are no fuel costs and there is less to maintain. While electric pressure washers are generally not as powerful as gas or diesel pressure washers, they can get to about 2,000 PSI, which is plenty for most jobs. The bad news is that they are not portable because they require an electric outlet to work.